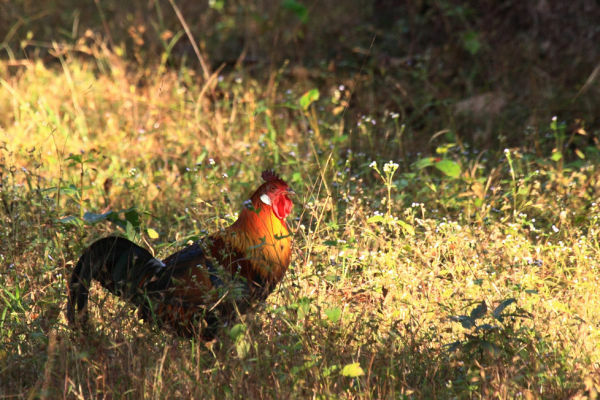 A tropical member of the pheasant family and widely believed to be a direct ancestor of the domestic chicken. Though sighted several times by us it was very flightly often disappearing before the camera could even be raised. This was the only occassion they hung around long enough to "shoot".